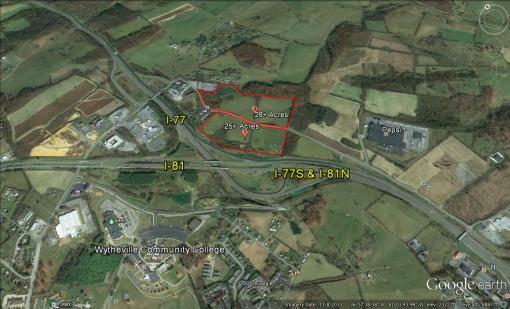 Commercial property located along I-77/I-81 Corridor, 28.8 acre tract located on Nye Road; road frontage; public water and sewer available; great interstate visibility and access; endless potential for development; high traffic count area; excellent location for business such as hotels, restaurants & is large enough for both. 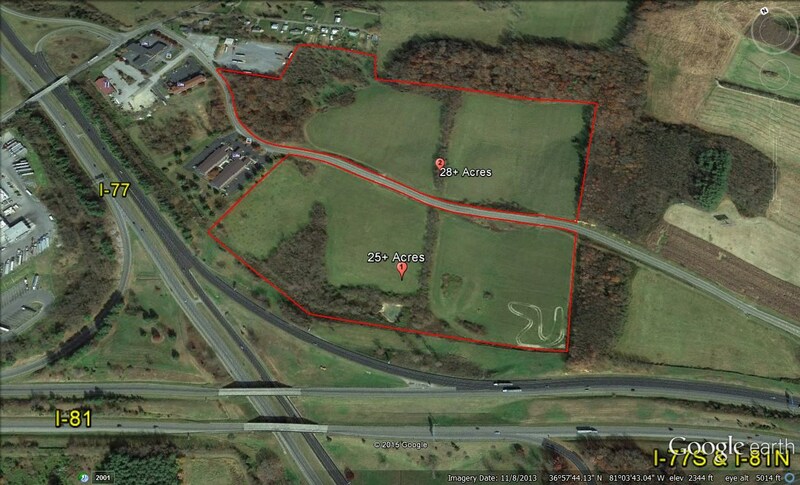 Additional 25.19 acres available directly across the road from this property, see MLS50594 for details. Contact Tommy Anders for more information 276-620-7703 or tanders@andersrealty.com. Tommy and Gena purchased the two oldest real estate companies in Wytheville in 1995. They have many years experience in real estate, finance and teaching. Their hobbies are matching people with the right property. ● Adding other motivated Brokers and Realtors® and the United Country Franchise with its unique advertising has made for a successful office. Their office has earned many listing and selling awards over the years including among the top ten United Country offices two years in a row and being chosen locally as “The Best Real Estate Office” by the readers of the local newspaper, The Enterprise for several years. ● While operating the office with a high degree of professionalism and high moral standards, their office is able to market your farmland, commercial property and residential property by traditional real estate sales or by auction.